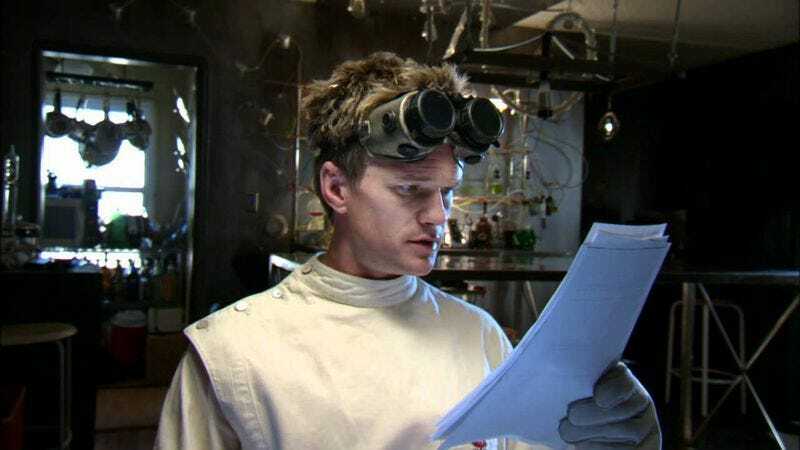 Having recently freed up some manic, borderline shrill time and energy from his busy schedule, Neil Patrick Harris has signed on for his next TV project: starring as the villainous Count Olaf in Netflix’s upcoming adaptation of Lemony Snicket’s A Series Of Unfortunate Events. Harris will once again be channeling his inner hammy bad guy, playing a role that originally had Jim Carrey stomping around and improvising like a lunatic dinosaur in the 2004 film version of Daniel Handler’s pseudonymously penned books. But even as Harris storms onto the project, evil laugh in tow, another major player is departing: showrunner and True Blood veteran Mark Hudis, who left the project today. Netflix has yet to comment on Hudis’ departure (or his possible replacement), although—at least per The Hollywood Reporter—director Barry Sonnenfeld is still set to helm several episodes of the show.